SF Taxi Media: Waybills – How About A Responsible Government To Administer Them? By John Han. Waybills – How About A Responsible Government To Administer Them? By John Han. Although I cannot find it anywhere in the 2010 minutes of Taxi Advisory Council (TAC) meetings, last year, I, at a TAC meeting, requested from Taxi Services Division, any City document stating officially, what the purpose is for requiring drivers to fill out waybills. Because I’ve asked numerous people on numerous occasions over the years, if they could state the actual purpose for waybills, because I myself had no idea what waybills were for. Some would say, “for your taxes”, and others said, “so the cops can’t bust you for something you didn’t do”, and so on. Perhaps an obvious reason for waybills is for medallion applicants needing to prove they’ve been meeting their driving requirement. That makes sense. But the taxi rules are clear that all drivers, not just medallion applicants, must fill out waybills, even though the City doesn't clearly state why. So as a “Driver Representative” on the TAC, and in light of the controversy over the advent of electronic waybills and their privacy issues, last year I requested the City’s written information that would better explain waybills. In response, weeks later at the next TAC meeting, Taxi Services Division gave to me a document from Oshawa, Canada, and Oshawa Canada’s detailing of waybills. “Rationale for Use of Trip Sheets"
"A survey conducted of various municipalities concludes that the trip sheets are useful in aiding investigations such as a discrepancy with a fare, tracking driver work hours, tracking complaints, tracking out of town pickups, back up to dispatch logs, and tracking use of vehicles for area coverage (Attachment 2). 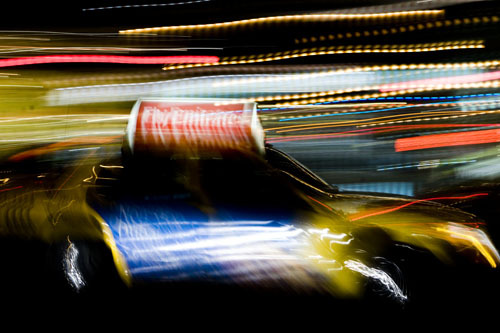 A survey of City Wide Taxi and Taxi Taxi also indicates that trip sheets are used to aid drivers in calculating income tax and determining insurance payments if a driver is off work due to an accident. … Oshawa's document is informative, but it is not a valid policy statement on waybills. There's an important difference between making a simple list of notable uses for something vs. its intended purposes. Consider that a local municipality simply issuing a memo to another agency informing what kinds of things waybills have been useful for in the past, can be like a newspaper reporting that cell phones help rescue lost hikers sometimes. It is to a degree moot. Because by that analogy, emergency rescues would be an authorized, valid use of a cell phone, but not a primary use stated in a typical product statement intended for consumers. The Oshawa document likewise lists some other valid and authorized uses of waybills. What’s missing in the Oshawa document is a policy statement of a waybill’s primary use. Amidst the heated controversy over the advent of electronic waybills, San Francisco should issue a valid policy statement, unequivocally expressing the primary purposes of taxicab waybills and its reasons for requiring them, especially as they are being transitioned into electronic format. And, that statement should be accessible for public viewing, including in a PDF file for example, on a government website. The City must outline the criteria for specifically relaying what the data and information on taxi waybills could and could not be used for, why the City’s gathering it, and what persons and/or entities could be entitled to access that data, etc., including other government agencies, third parties, or advertisers. For example, if the City wants to require electronic waybills to gather census data for transportation studies, then it must officially state that in a report and issue it to the public as a primary reason for the waybill requirement. Or, would it want to require waybills to aid in law enforcement, or crack down on medallion holders defrauding driving requirements? The City would also have to state that in a report as a primary reason. Such a policy statement and privacy disclosure could help to ensure that any third parties would not be wrongfully entitled to information for unwarranted purposes, such as advertising or marketing, and could also determine whether there is a raised concern for persons such as undocumented immigrants conceivably living, working, or visiting San Francisco, to be subjected to U.S. Immigration and Customs Enforcement (ICE) raids, and deportation, while other persons may be investigated by the Department of Homeland Security, through electronic waybill tracking. Developing a valid waybill policy should done with public transparency and discussions. If such a government statement on waybill policy already exists, then taxi drivers must be informed as to where it is and be able to easily obtain copies of it. If such a statement doesn’t exist however, then San Francisco must draft it, and do it in the full disclosure of the public. I’m guessing the waybill’s original usage actually predates the gate and gas system, going back decades to the time when taxi drivers were employees and were paid by a split-meter system. Since it was an all cash industry, and because unsupervised transactions between passengers and drivers were ‘under the table’, meaning they did not occur at a cash register, and there was no stock or inventory, and since cab companies were required to withhold income taxes from drivers, taxi drivers were therefore required to write all transactions on a ‘waybill’, as this was the only tangible means for companies to log data and revenue. This was a rational requirement for waybills back then, as it made it relatively possible for companies to accurately withhold income taxes and issue the appropriate amount in paychecks to their drivers. But after the independent contractor model became the new standard in the late 70’s, and the gate and gas system replaced the split meter, it became no longer necessary for companies to know exactly how much revenue their drivers were taking in, nor were they as concerned about the whereabouts of their drivers. In light of this, one would think therefore that the waybill then could have easily become obsolete, and possibly should have, as what would seem to have been its primary purpose (recording company revenue), had expired. For as companies once paid employee drivers based upon income reflected on the waybills, therefore making waybills necessary, independent contractor taxi drivers today fill out waybills more so for the municipal government's purposes, and less so for themselves, making waybills not as necessary to the driver. But for over thirty years, most municipalities, including San Francisco, have never issued a valid policy statement detailing why independent contractor taxi drivers should be required by the government to complete waybills as if the meaning of waybills had gotten lost in translation somewhere. It's speculative at best, but consider that if a government were to have issued a more specific statement explaining waybill requirements, it could potentially add accountability. For example, if San Francisco, over thirty years ago, had officially stated that independent contractor taxi drivers be required to complete waybills in order to aid in law enforcement, then one may ask why independent contractor taxi drivers have never been compensated by the City and County of San Francisco for services rendered to the City? Independent taxi workers handwriting waybills that have little use for themselves, but could be useful to the police as information potentially leading to the arrest of a suspect would be additional services rendered to the City by that contractor, one may opine. Or, if San Francisco had officially stated years ago that waybills are for gathering census data that helps the City understand transportation trends, then one may ask why scores of taxi workers, who didn’t necessarily have to fill out waybills for themselves, but did it for the City’s census needs have never been compensated? The U.S. Census Bureau pays money to citizens to gather its information. Has San Francisco, by contrast, been getting taxi drivers to provide a similar service for free all these years? There’s no wonder why drivers don’t bother to complete their waybills. They inherently know something's been amiss all these years, as waybills serve them little purpose. Now that City will make sure that waybills are going to be filled out electronically, it's a good time for San Francisco to explain its reasons why. John I wanted to say thank you for running an honest website where are comments can be viewed. I just tried to leave a comment on Ed Healys website but it has to be approved first before it can be seen. I wonder why I need to be screened before the comment can show. Good article on the subject. I've often thought waybills were a useless pain myself. I monitor the comments for two reason: 1. There were a few people that were basically trying to take over my blog to foster their own politics 2.I've been getting a lot personal attacks or hit pieces containing slander and, often, obscenities. I see no reason why I should publicize this junk. When I got up this morning I ran a comment by you. I didn't especially agree with some of the things you said but you made your points in a civilized manner. That's all I ask. good to see we're agreeing on things again. We usually do. Thanks for this informative piece. By all accounts, The City doesn't seem to have a clue. Why trust them, THE GOVERNMENT, with the collection of massive amounts of otherwise private data? To do so, for whatever purpose would be, in a word, WRECK-LESS. Until a consensus can be reached, by those most impacted by the installation of these terminals, the public and the drivers, all discussion of such should be terminated forthwith. this excellent forum to express my views.